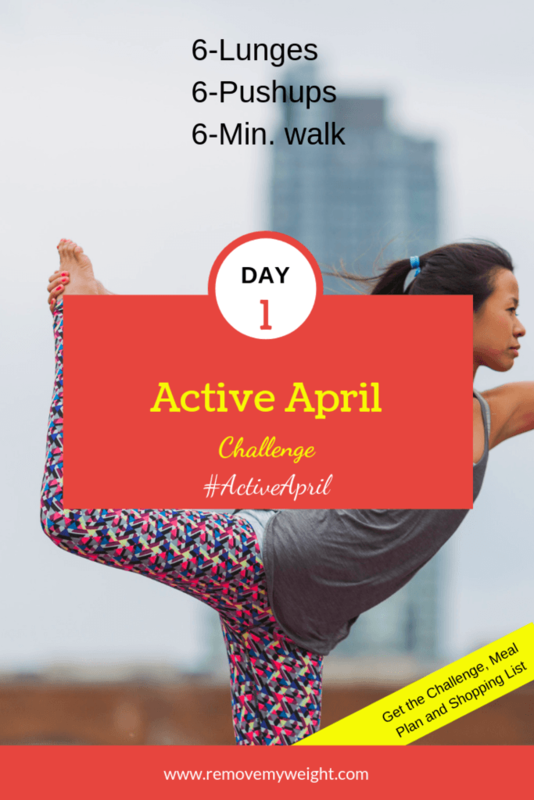 Get Ready for Summer with this simple but effective way to get moving and lose weight with the Active April Challenge. 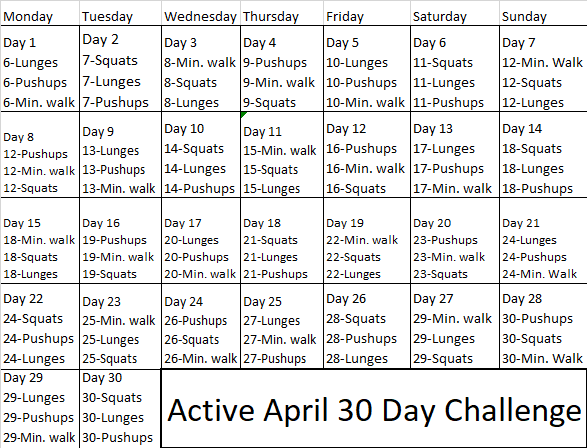 East to start with day 1 today, or start any day of the month. 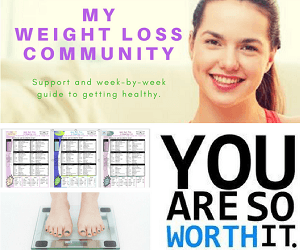 Complete with a Meal plan, shopping list, and support from this community. 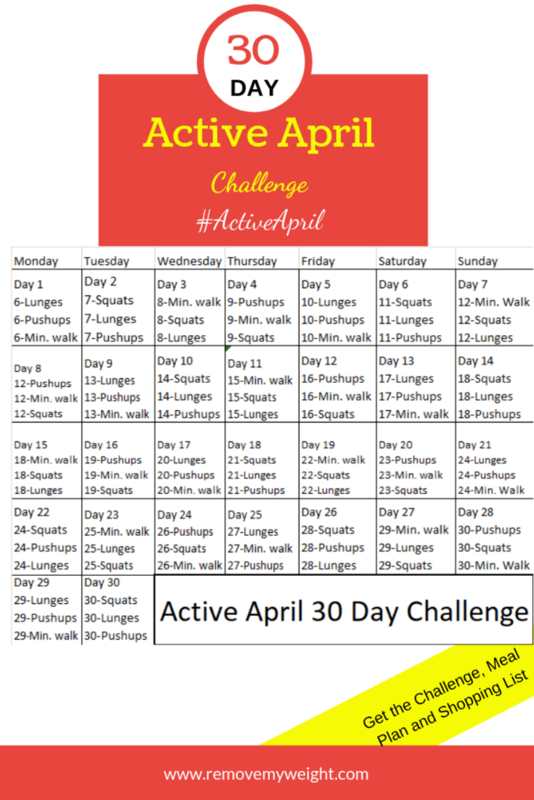 Just click the image below and save or print, the Active April challenge.